KIEV, Ukraine -- A criminal case has been opened against former Ukrainian Interior Minister Yuriy Lutsenko, the Kommersant-Ukraine newspaper has reported, citing Lutsenko. 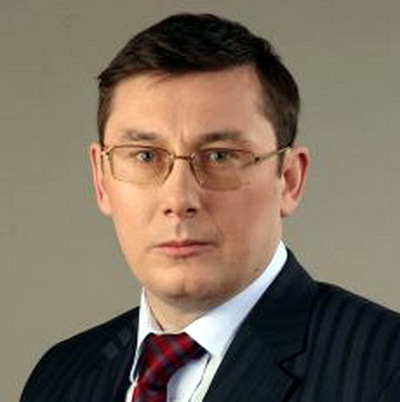 Former Ukrainian Interior Minister Yuriy Lutsenko. The ex-minister was charged with the misappropriation, embezzlement of property or abuse of office. Lutsenko said that on November 5 he was summoned to the Prosecutor's General Office of Ukraine that presented a resolution on the opening of a criminal case against him and "said that from being a witness, I immediately became a suspect." The Prosecutor General's Office earlier opened a criminal case on abuse of power by Interior Ministry officials when Lutsenko held the post of interior minister. Deputy Interior Minister Vasyl Farynnyk told reporters that violations concerned the hiring and assigning of ranks to Lutsenko's former personal driver. "According to the Prosecutor General's Office, Minister Lutsenko, who led a team of 300,000 people with the ministry's annual budget of UAH 8 billion, entered into collusion with his driver in order to steal UAH 40,000 from the budget," the former interior minister said. If the court finds the accusation proved, Lutsenko will face a term of imprisonment of from three to eight years.